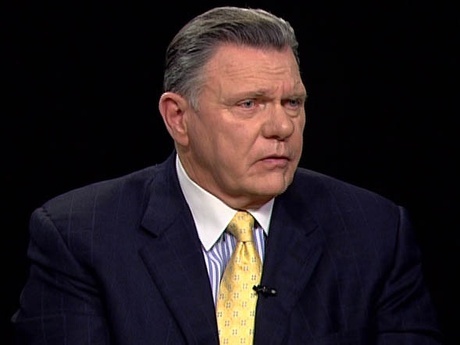 John F. “Jack” Keane, a 37-year U.S. army veteran, former four-star general, and former vice chief of staff of the Army, is a vocal advocate of hawkish U.S. foreign policies. He is often credited as an architect of the 2007 U.S. "troop surge" in Iraq. Well connected among both defense contractors and the neoconservative advocacy community, Keane is currently the board chairman at the Institute for the Study of War—a neoconservative military policy institute directed by Kimberly Kagan and formerly chaired by Liz Cheney—and is a frequent guest on Fox News. Since leaving the military, Keane has enjoyed a lucrative private-sector career, particularly with military contractors. In addition to serving on the corporate boards of MetLife, General Dynamics, and Allied Barton Security, Keane is also a co-founder of Keane Advisors LLC, a financial consulting firm that specializes in working with military contractors. In 2012 he was named a “strategic adviser” to Academi LLC, the successor company to the notorious military contractor Blackwater. Keane's ties to the military-industrial complex attracted renewed scrutiny in 2014, when he emerged as a vocal advocate of U.S. military action in both Iraq and Syria against militants linked to the extremist Islamic State, also known as IS or ISIS. Keane penned numerous op-eds and appeared frequently on TV news programs to push a more aggressive U.S. military campaign against the militants. "A military campaign is needed to defeat ISIS, not merely stop or contain it," he wrote in a September 2014 Wall Street Journal op-ed with AEI's Danielle Pletka. "Contrary to some claims," they continued, "this is not a plan for a new American ground war in Iraq seeking to reconstitute a failed state. It is a mission to help Iraqis and Syrians on the ground help themselves. A U.S.-led international coalition can provide the military capability, including air interdiction to deny ISIS freedom of movement, take away its initiative to attack at will in Iraq, and dramatically reduce its sanctuary in Syria." The two also advocated targeted strikes against ISIS leaders and sending arms to the Iraqi Army, the Kurdish peshmerga, and Syrian rebel groups, along with "thousands" of military advisers. Journalist Jim Lobe noted that Keane's proposal appeared to be a tacit admission that the U.S. "surge" in Iraq—of which Keane had been an important architect and advocate—had failed to bring political stability to the country. Expressing skepticism that supporting a new cast of "moderate" allies would change the situation in Iraq and Syria, Lobe added, "What happens when those groups’ broader strategic aims are found to be mutually incompatible? … Neocons don’t like people to ponder such questions. Instead, they count on their ability to reduce extremely complicated and difficult situations to urgent, black-and-white choices that appeal more to fear than to reason." Other critics noted that Keane had a vested interest in the campaign he was promoting. "Ramping up America’s military presence in Iraq and directly entering the war in Syria, along with greater military spending more broadly, is a debatable solution to a complex political and sectarian conflict," wrote The Nation's Lee Fang. "But those goals do unquestionably benefit one player in this saga: America’s defense industry." Fang continued: "Left unsaid during his media appearances (and left unmentioned on his congressional witness disclosure form) are Keane’s other gigs: as special adviser to Academi, the contractor formerly known as Blackwater; as a board member to tank and aircraft manufacturer General Dynamics; a 'venture partner' to SCP Partners, an investment firm that partners with defense contractors, including XVionics, an 'operations management decision support system' company used in Air Force drone training; and as president of his own consulting firm, GSI LLC. To portray Keane as simply a think tank leader and a former military official, as the media have done, obscures a fairly lucrative career in the contracting world. For the General Dynamics role alone, Keane has been paid a six-figure salary in cash and stock options since he joined the firm in 2004; last year, General Dynamics paid him $258,006." Fang noted a particular instance in Keane's and Pletka's Wall Street Journal op-ed in which they railed against the Gulf emirate of Qatar, which they claimed "funds and arms ISIS and other Islamist terrorist groups such as Hamas." Fang countered, "While media reports have linked fundraisers for IS [the Islamic State] with individuals operating in Qatar (though not the government), the same could be said about Saudi Arabia and Kuwait, where many of the major donors of IS reportedly reside. Why did Keane single out Qatar and ignore Saudi Arabia and Kuwait? Is it because his company, Academi, has been a major business partner to the United Arab Emirates, Qatar’s primary rival in the region?" Keane has long supported U.S. intervention in Syria to topple the regime of Bashar al-Assad. In 2013, he and Pletka argued in favor of "arming the right [Syrian] rebels with antiaircraft weapons and severely degrading Assad's air power with limited airstrikes," an option they said "leaves room for escalation to the no-fly zone, and for a further escalation to attacks on Assad's ground forces." In a January 2012 appearance on the network, Keane also predicted war with Iran. “I think we’ve been on a collision course with Iran since 1980 when they declared us their strategic, number-one enemy in the world,” he said, “and they’ve been using state-sponsored terrorism against us through their proxies for 30 years and it’s not gonna stop. I think it’s inevitable that we will have some kind of conflict with them.” During the interview, Keane suggested that U.S. intelligence agencies believed Iran was “a year or two away from [nuclear] weaponization”—even though U.S. intelligence agencies concluded as far back as 2007 that Iran was not building a nuclear weapon. Keane is perhaps best known for co-authoring with AEI’s Frederick Kagan “Choosing Victory: A Plan for Success in Iraq,” a 2007 policy paper that many observers—including Gen. Davis Petraeus—credited with laying the political groundwork for President Bush’s troop surge in Iraq. Keane subsequently became a vocal public proponent of U.S. counterinsurgency campaigns in Iraq and Afghanistan, warning about the alleged impact of “failure” in Iraq on regional security issues, including in Iran. In an October 2011 interview with Fox News, for example. Keane suggested that the then-pending Iraq drawdown was “a disaster” that would weaken U.S. “influence” against Iran. 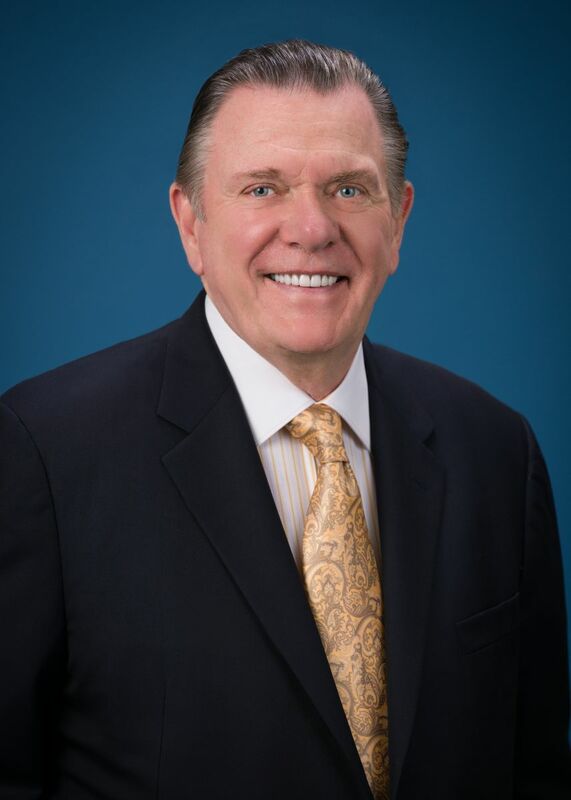 Academi, press release, “ACADEMI Announces Gen. Jack Keane as Strategic Advisor,” June 21, 2012, http://www.academi.com/press_releases/30. Real News Network, “Why you should know Gen. Jack Keane,” February 4, 2009, http://therealnews.com/t2/index.php?option=com_content&task=view&id=31&Itemid=74&jumival=3241. Jack Keane and Danielle Pletka, " An American-Led Coalition Can Defeat ISIS," Wall Street Journal, August 24, 2014, http://online.wsj.com/articles/jack-keane-and-danielle-pletka-an-american-led-coalition-can-defeat-isis-in-iraq-1408919270. Jim Lobe, "Project for a New American Imbroglio," LobeLog, August 28, 2014, http://www.lobelog.com/iraq-isis-neocons-project-for-a-new-american-imbroglio/. Lee Fang, "Who’s Paying the Pro-War Pundits?" The Nation, September 16, 2014, http://www.thenation.com/article/181601/whos-paying-pro-war-pundits#. Jack Keane and Danielle Pletka, " How to Stop Assad's Slaughter," Wall Street Journal, May 22, 2013, http://online.wsj.com/news/articles/SB10001424127887323744604578477203521015598. HASCRepublicans, "General Jack Keane on Calls for an Accelerated Withdrawal," March 14, 2012, https://www.youtube.com/watch?v=sQORnbapSls. Fox News Insider, “General Jack Keane: I Think It’s Inevitable That We Will Have Some Kind of Conflict With Iran,” January 31, 2012, http://foxnewsinsider.com/2012/01/31/general-jack-keane-i-think-it%E2%80%99s-inevitable-that-we-will-have-some-kind-of-conflict-with-iran/. Jasmin Ramsey, “Hawks Dominate Joint Subcommittee Hearing on Alleged Iranian Plot,” Inter Press Service, Lobelog, October 26, 2011, http://www.lobelog.com/hawks-dominate-joint-subcommittee-hearing-on-alleged-iranian-plot/. Institute for the Study of War, “CENTCOM in 2010: Views from General David H. Petraeus,” January 22, 2010, http://www.understandingwar.org/press-media/webcast/centcom-2010-views-general-david-h-petraeus-video. Media Matters, “Joining The Chorus, Fox Military Analyst Jack Keane Says Iraq Withdrawal Is ‘Absolutely’ A Disaster,” October 24, 2011, http://mediamatters.org/mmtv/201110240021.